The big day has come and gone and it's here, it's finally here: your VELUX Skylight has been installed and it's time to soak up more than a little sun underneath it. Looking up at it, how exciting to think how this patch of sky showing through your ceiling will brighten your home and give it a fresh, new style. Of course, eventually, the not-so-exciting aspects of having a skylight sneak into your mind. How will you clean it, maintain it, and keep it looking brand new? 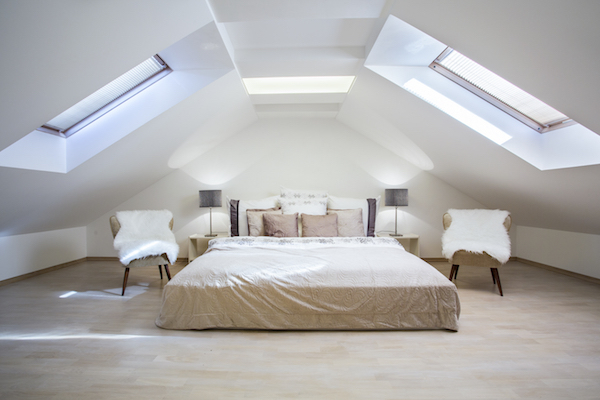 While it's no secret VELUX Skylights are built to last, we do still have a few tips and tricks to share for maintaining your skylight and keeping it looking its very best. 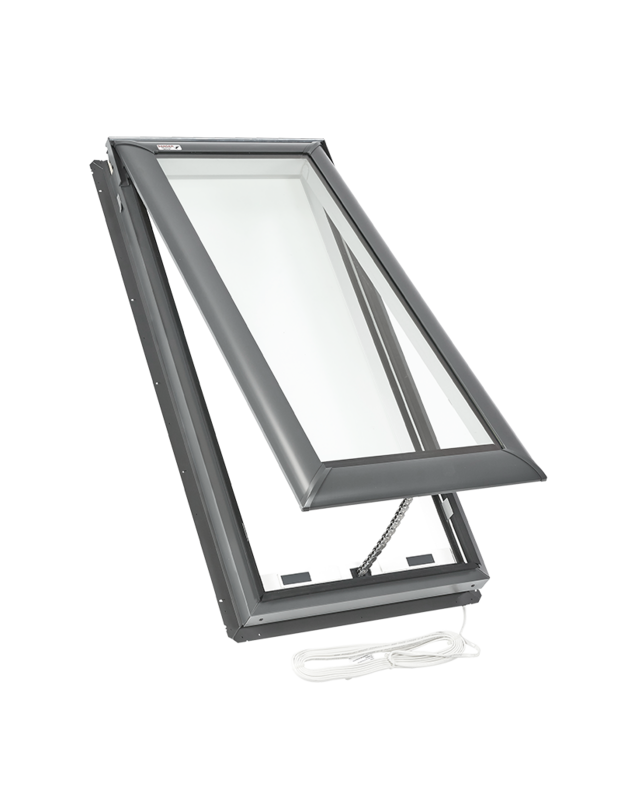 Most VELUX products now come pre-painted, but there are still some with a natural wood finish. If this applies to your skylight, know that the timber has received basic treatment and finished coating at the factory. This means it can be cleaned with ordinary household cleaners. However, your skylight will also require further treatment at least every four years due to its prolonged exposure to strong heat, sunlight, and potentially high humidity levels. For surface maintenance, you'll want to first remove the surface treatment (varnish or paint) and ensure the surface is clean and dry before applying primer to the wood. Once dry, apply a coat of water-based acrylic varnish or paint, following the manufacturer's directions. Apply this same method to affected areas if the varnish or paint becomes damaged. Keep in mind that when you're treating the wood, it's important to cover the gaskets. If varnish or paint rubs off onto them, the gaskets can harden, causing them to become ineffective. 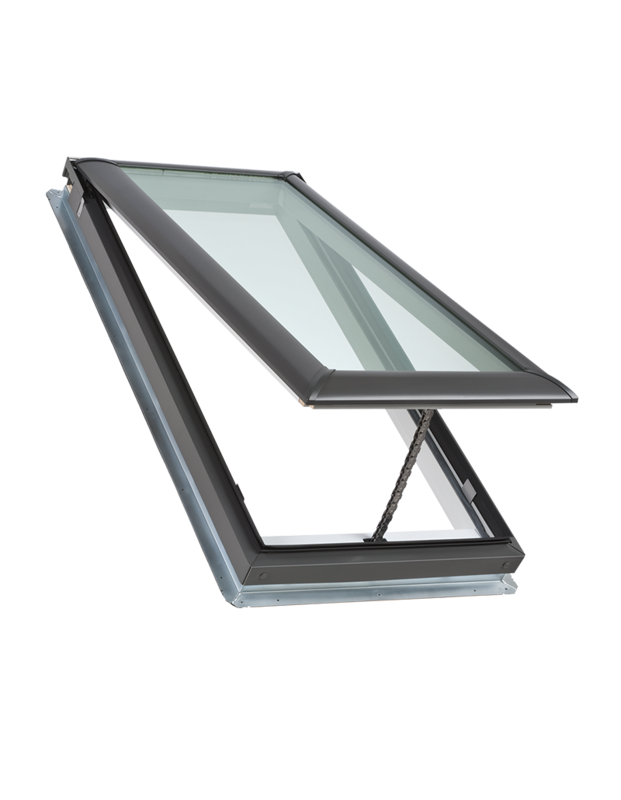 Almost every VELUX Skylight comes standard with our Clean, Quiet & Safe Glass, which is designed in part to keep you from having to constantly clean your skylight's glass. Still, like everything else, it does need to be cleaned on occasion. For a clear, new shine on the inside, clean your skylight's glass with a soft, lint-free cloth, chamois leather, or nonabrasive sponge. You can also use a clean, non-metal window squeegee. Clean water is typically enough for cleaning the glass, but ordinary, non-abrasive household cleaners can also be used. 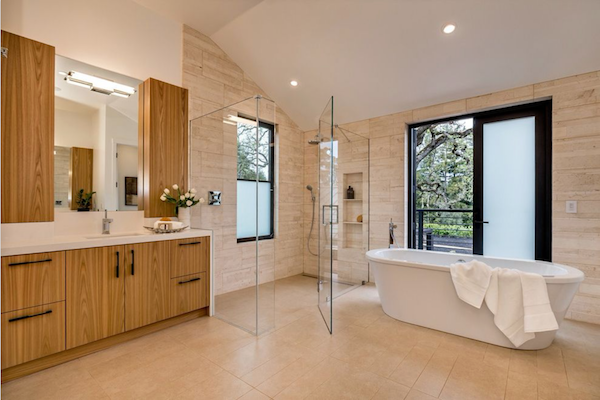 Soft water is best for cleaning glass, so if you're in a hard-water area, add a small amount of detergent to soften the water and be sure to wipe off all excess water after cleaning. For the exterior glass, we recommend hiring a window cleaning company as they will have the right equipment to safety access the roof. Just like with those pesky gutters, leaves and other debris can accumulate around your skylight and affect its ability to wick away rainwater and prevent leaks. So at least once a year, it's important to clear the leaves, twigs, and other debris that may have built up around your skylight to allow rainwater to flow freely around it. If you're in an area that experiences prolonged cold periods with heavy snowfall, you're well aware that considerable amounts of snow and ice can build up on your roof during the winter. And, now a part of your roof, your skylight will most likely also become covered with snow and ice for long periods of time. 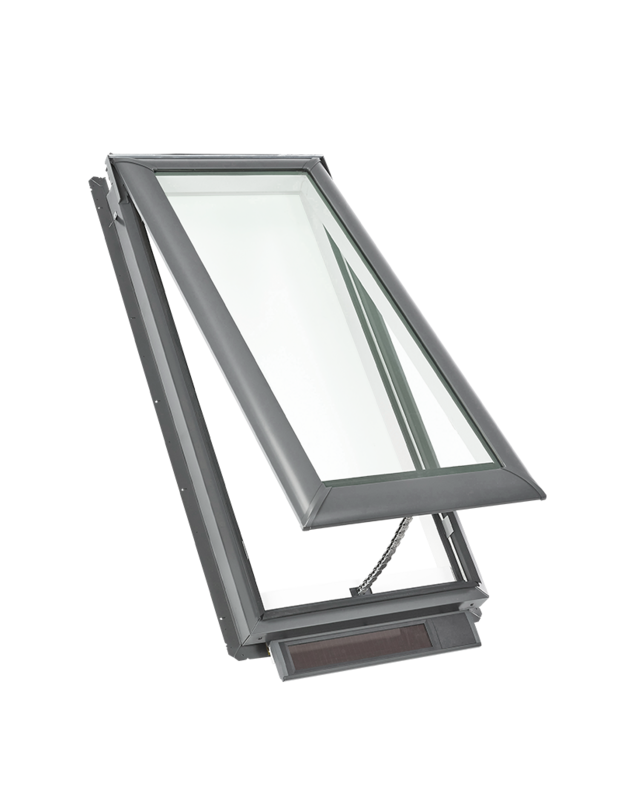 Fortunately, VELUX Skylights are built to withstand heavy amounts of snow, so there's nothing to worry about there. The only thing you'll want to keep in mind is that once it starts to warm up, the snow and ice will often start melting off of your skylight first. So, it's important to make sure the melting snow can drain off from the roof and surrounding gutters when that happens. maintaining a constant room temperature of at least 68°F, if possible. 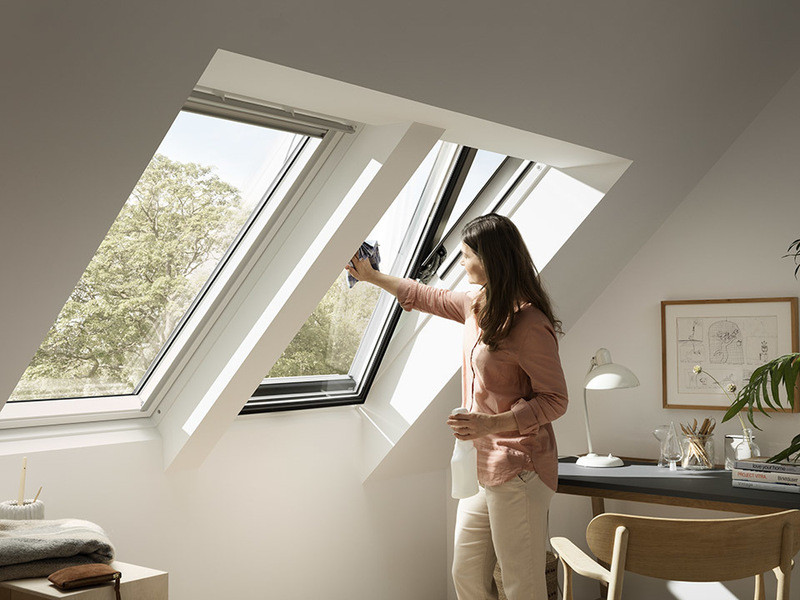 And here's a pro-tip for those last two options: the new VELUX Active with NETATMO system connects to your phone and automatically opens and closes your skylights and blinds to help maintain the air quality in your home based on your preferences. Staying on top of cleaning and maintaining your skylight helps keep it looking its very best. 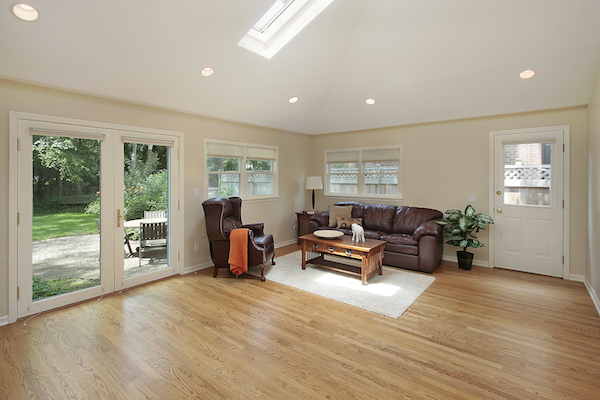 So, keep these tips in mind and you're sure to enjoy your skylight for many years to come!